Architect Arthur Erickson | Shelby White - The blog of artist, visual designer and entrepreneur Shelby White. 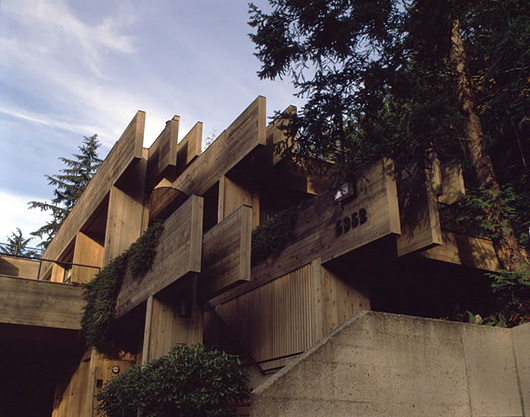 Arthur Erickson was an architect whose works reflect an appealing Pacific Northwest modernist theme. 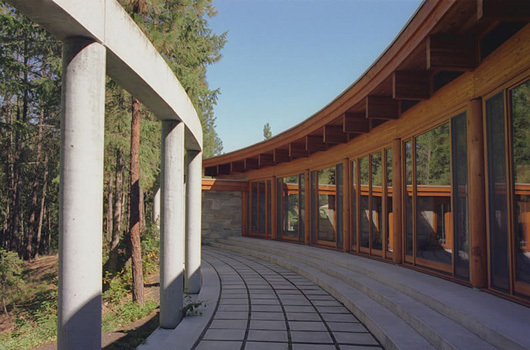 Some of his works include The Museum of Anthropology at the University of British Columbia, the Provincial Law Courts in Downtown Vancouver, the San Diego Convention Center, Napp Laboratories in Cambridge, England, the Canadian Chancery in Washington, D.C., California Plaza in Los Angeles, and most recently the Museum of Glass in Tacoma, Washington. The way he put different aspects of nature into his designs is inspiring. Bringing in certain elements such as the beam and post construction, variations of floor planes, the surrounding topography, viewing perspectives and light control. You can see it in each of the above images and his other works. Brilliant, I love his work! 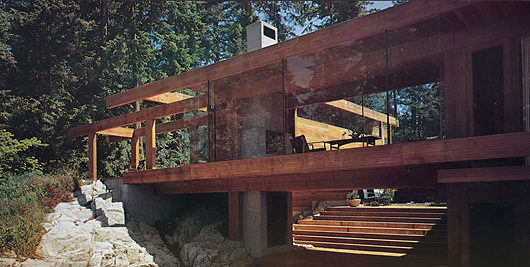 Some pretty inspirational stuff here as far as the architecture goes…. makes me want to get busy planning the design of my own home. 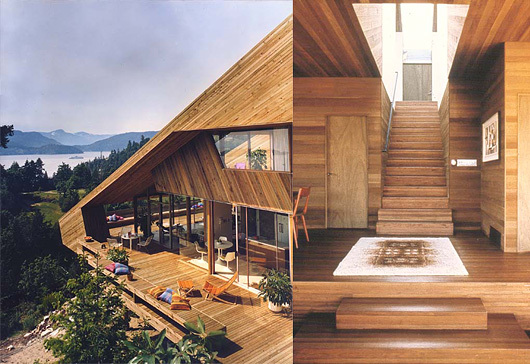 Agreed, I’ve designed my own house so many times because of inspirations like these. I’m really falling in love with the thing I used to dread: wood paneling. I’m more into curved spaces. 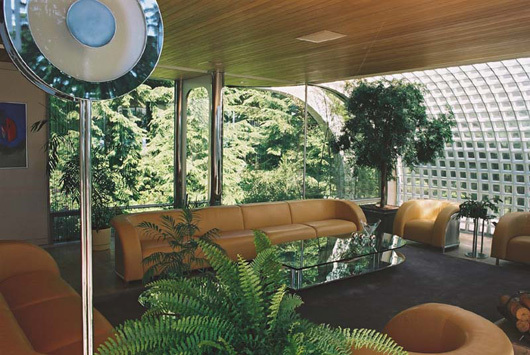 Thus, needless to say that I’m more of a John Lautner fan–Lautner is my absolute favorite architect. 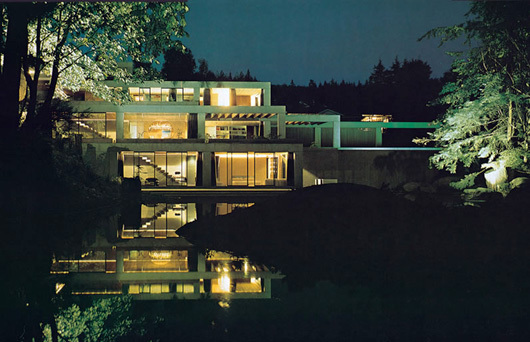 However, I think that this Arthur Erickson piece just fantastic. I really dig the furniture too!! I should come past more often, great find. That place is fricken’ incredible. I love the last shot. Just imagine living in a place like that. 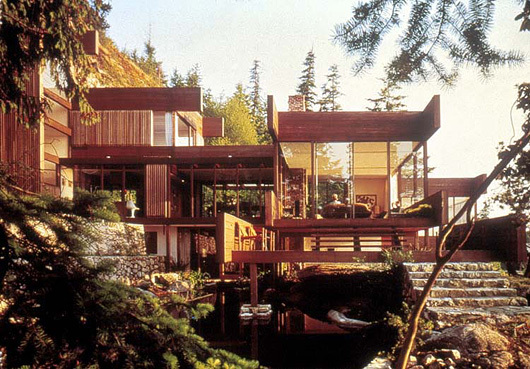 I absolutely love this Arthur Erickson’s work. Every single angle of the buildings he created is like it’s own piece of art. He was an architectural genius. Nice post. HO-LEE-CRAP… I think I am in love… these are such spectacular aspects of contemp design! 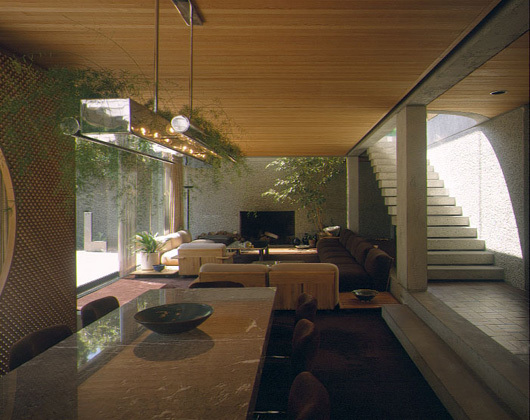 Wood, concrete and glass… AMEN!